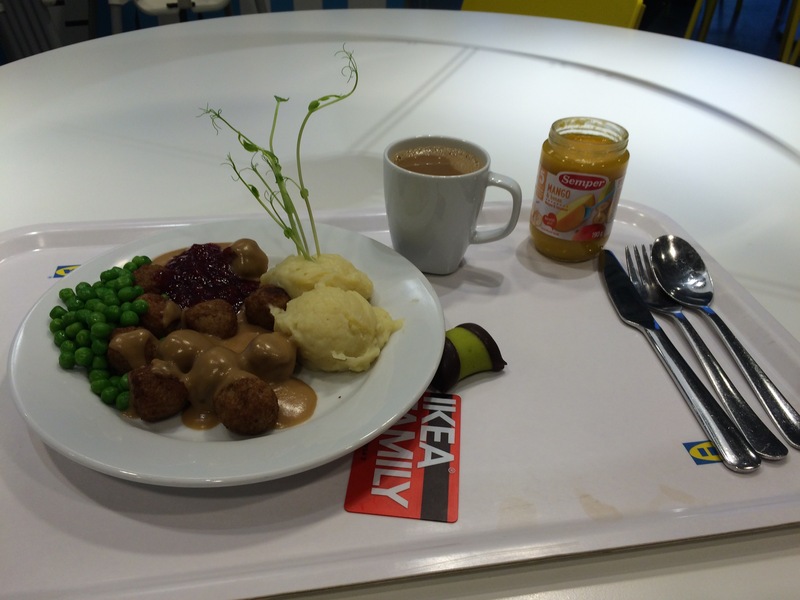 I am still blown away by a simple yet awesome thing I experienced at IKEA yesterday. 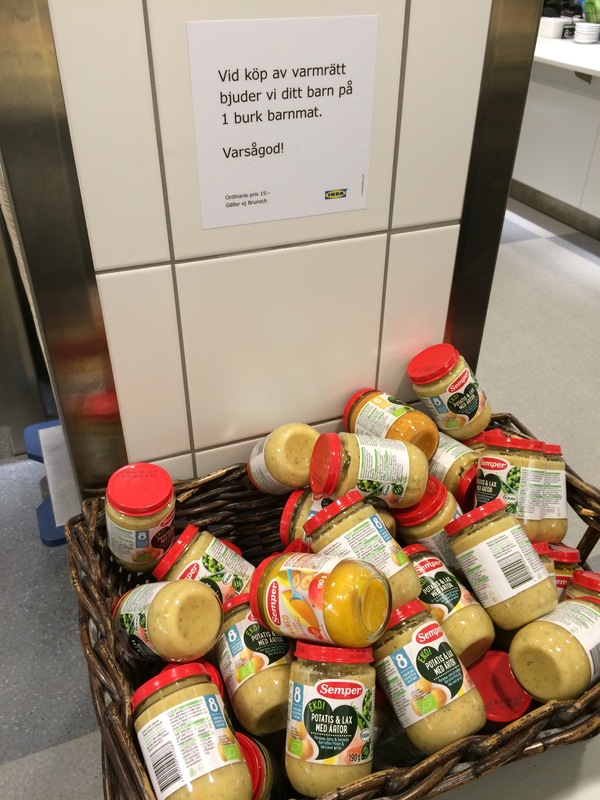 If you are in their cafe and buy a warm meal, you get a free jar of baby food! And this is not just generic baby food, it’s Semper, a good brand in Sweden.